Note from LeftEast Editors: We republish an interview with LeftEast editor Mariya Ivancheva, taken by Eli Thorkelson for Academography on April 7th. Still, I would rather think of my interest in all these projects as feeding into one bigger intellectual/academic project, which I have tried to address through different field sites. Walter Benjamin’s (unwritten) theory of utopia, which I explored in my days as a student in Philosophy and Social Theory, had a strong influence on my thinking. Benjamin insisted that lost revolutionary moments (unsuccessful struggles or intentions that don’t enter the historical record, because official history is written by the winners) need to be salvaged “from the garbage heap of history”. I see myself as a social historian of lost projects of radical social change. As an anthropologist, I study them not only in their own contemporaneity but through the concrete material and social effects left behind in their aftermath. My major case studies are about progressive projects that started with good intentions but – due to a combination of structural and agentive forces – have gotten derailed or faced unintended consequences, failure, and sometimes oblivion. Such is the story of my main field sites, state socialist Bulgaria and Venezuela of socialism of the 21st century, and I see many commonalities in post-apartheid South Africa. These were places where good intentions failed, and the institutions which reproduce an unequal society got perpetuated in spite of egalitarian aspirations. By studying these projects’ initial intentions, their historical development (including turning points of rupture or continuities), and the legacies and silences left in their aftermath, scholarly research can help nurture the historical imaginary of new generations. But that said, my aim has not been to uplift such projects to a status of blueprints and condemn or romanticize them en gross, which has sadly often been the case with scholars of socialism. On the contrary, as Miguel Abensour insists in his discussion of Thomas More’s Utopia, I believe the reading of such utopian moments need to be done with caution. If we account for their true colours and deep contradictions, they can serve us as didactic tools for charting the potentials and perils in future attempts to create social change. So intellectually, that’s why I’ve been exploring the initial intentions, development, and aftermath of projects of social change. East-Central European movements during and after state socialism, which you mention, are often just such a scene of the aftermath. Paradoxically and despite their denial or condemnation of the past, these movements reproduce many of the practices of state socialism — and not the best ones. Here I’m thinking especially of a middle class elitism that puts spikes in the wheel of more inclusive movements. That’s also why I’ve mainly focused on intellectual and student movements, as higher education is both an institution of elite and status quo reproduction and a site for redistribution and contestation. As a philosopher by training, I was interested in the history of concepts. But it was only during my training in sociology and anthropology at the Central European University (CEU) that I learned to study the social reality behind discourse, and the way discourses are produced by material realities and produce material effects. In scrutinizing concrete projects, my interest in how ideas affect realities got more grounded. My first study at CEU was on dissident intellectuals’ choice and use of the concept ‘civil society’ as a key mobilization frame in the 1980s, in dialogue with Western European progressive intellectuals. I wrote about how erasing the discussion of the market in this debate across the Iron Curtain allowed the Trojan horse of neoliberal capitalism (with its laissez-faire attitude to the market) to be entrenched in a smooth, unquestioned manner in the post-socialist state and ‘civil society’. It also helped me to see how universities – such as the Bolivarian University in Venezuela, which was my PhD research site – can be studied as a key site of progressive intellectuals’ projects of social change. By the time I finished my PhD at the CEU, I was equipped to keep exploring higher education as a field where social justice was done and undone, and where material redistribution was happening. My research has shifted to new contexts in the Irish Republic and post-apartheid South Africa. And the repercussions of the global financial crisis (along with currently emergent scholarship that attempts to cut through the Cold War divide of area studies and show trans-local connections in the global capitalist system), I could see more clearly how the distant contexts I studied were connected, not only by the project of socialism, but by similar global processes that impacted socialist and non-socialist contexts alike. Contemporary systems of higher education have abandoned their attempts at massification, as they have been impacted by processes of neoliberalisation implemented to ease (or rather, as we now know, to exacerbate) the crisis of capitalism in the late 1970s-early 1980s. They have surrendered to the logic of the market and to new managerial governance, at the expense of reserve armies of indebted or un(der)employed students and precarious, outsourced, and disposable university workers. This has been the reality in higher education that I have been studying ever since. And while it is instructive, often infuriating to see how educational institutions are now key sites of undoing social justice and redistribution through the merciless entry of capitalist market logic in their domain, choosing the university as a fieldsite taught me, I think, a valuable lesson. What I learned is to look at universities neither as mere tools for redistribution, not as a simple powerful mechanism in the machine of state reproduction, but as a field of social struggle and continuous contestation. In this field, progressive and conservative forces alike face their countermovements. Thus, they often end up hosting battles over issues that go beyond the ivory tower and cut to the core of society. Eli: As a follow-up question about your own trajectory, I see you did your doctoral work at CEU in Budapest. I’ve always imagined CEU must be a very particular type of institution, as an Anglophone institution in a non-Anglophone city, perhaps like the EUI in Florence. What was your graduate experience like, intellectually, socially, politically speaking? Did the faculty encourage your reflexive interest in higher education as an ethnographic object, or did you come to that on your own? Mariya: Interestingly, between the time you asked me the questions and the time I answer them, things have changed dramatically for CEU – the Hungarian government of Victor Orbán targeted CEU with a bill that challenged the very operation of the university within the Hungarian polity. Despite an outpouring of international and national solidarity, including from very conservative Hungarian institutions and actors, and a 10.000 strong bilingual rally in Budapest on April 2, 2017, the bill passed the National Assembly on April 4th without much discussion, through a fast track procedure, and with over 75% vote of Fidesz MPs. Now, let us be clear, Orbán and his political allies have long shown they have no mercy for vulnerable populations — they have criminalized the homeless, caged and barb-wired refugees, and imposed disciplining workfare measures for the unemployed, while also not opening up new jobs, homes or futures. Universities and individual academics in Hungary have also long been under threat and exposed to growing repression and precarization, without much support from us in the international scholarly community. But back to your question. The similarities between CEU and EUI that you mention are true, indeed, but there are differences worth exploring – perhaps a PhD thesis that someone else can write one day. The design of the two institutions was quite different. Unlike EUI’s endowment through EU funds and the understanding it would produce knowledge and expertise for the European Union, CEU was a privately endowed university. It was not initially designed to be limited to just one campus…The story goes that millionaire philanthropist George Soros conceived the idea of CEU after visiting the Interuniversity Center in Dubrovnik, which held summer schools including neo-Marxist social theorists from both East and West. Initially, those who developed the idea pictured the first campus in Dubrovnik, with more to open across the region. Yet the war in former Yugoslavia started, the building of the Interuniversity Centre was destroyed, its summer school practices were interrupted, and the Western Balkans became a non-viable context for a new university. So the first campuses opened in Central Europe, which was more politically stable and more acquiescent to demands by international organizations for a transition to liberal democracy and the free market. Budapest and Prague were the two first campuses. Later the Prague campus closed, and some of its programs opened in Warsaw, but by the early 2000s the Budapest campus remained the only one in function. CEU had two key characteristics in that era. First, its faculty included many former dissident intellectuals from East-Central Europe – liberal intellectuals who entered politics in the 1990s but then withdrew either into academic or into expert careers. Second, for the first fifteen years, CEU’s mission statement said that CEU was to train the new generation of political decision-makers in the post-socialist world. So there was this understanding that through short-term post-graduate degrees, students from the region would absorb Western liberal ideas about democracy, law and order and free market society, and then they would go back home to implement these ideas in their own countries. I entered CEU in 2006 at a very specific time, when all these three components – the multiple campuses, the dissident core of faculty, and the idea of CEU as training ground of post-socialist political elites – had been taken off the ‘menu’. Under the late Rector, Yehuda Elkana, the university adopted a new identity: that of a research-intensive university that competes for global ranking and produces globally relevant scholarship, moving outside the narrow focus on regional political and social processes. The focus on 1 year MA programs gradually declined, while doctoral programs and research-intensive 2 year MA degrees were expanded, sometimes in consortia with other European universities. This helped satisfy the requirements of the Bologna Process, and of national and international accreditation processes. So then, with few exceptions – faculty members recruited at the university were increasingly those who could live up to the ever more demanding and geographically uprooting standards of an international academic career. Thus, former dissidents were marginalized within the university. The student profile and career trajectories were changing as well. By the time I entered the university, the majority of the students were also not aiming at a political career, but were decided to stay in academia or work for the public sector. These were, more often than not, children of professional classes from the region: people ‘downclassed’ income-wise either during state socialism or at some or another point after 1989. Many of us had stayed completing a first degree in our home country, and could not afford an MA or PhD abroad unless fully funded. At that point in time, both Western and Eastern European public universities were increasingly introducing fees – so CEU became one of the only universities which offered a scholarship to most MA students and fully-funded PhD programs. When I arrived, the Department of Sociology had just been moved from Warsaw and all its faculty had been dismissed. It had reopened as a Department of Sociology and Social Anthropology in Budapest, attracting scholars with geographical and topical expertise far beyond the region and with degrees from top American and European universities. Instead of emphasizing regional expertise and policy-oriented knowledge, students got introduced to debates on neoliberal capitalism, globalization, international urban and rural development, memory and religious studies, and this ranged across sites as distant as the US, Latin America, Africa, and South East Asia. Entering this department at this time has been extremely formative for me in many ways. In the first class I audited, one of my professors, Don Kalb, described himself as ‘crypto-Marxist’ and spoke against capitalism. That was a shock for someone like myself, coming from a liberal personal and intellectual upbringing in post-socialist Bulgaria. Other faculty were no less radical in their statements and political lines, excavating concepts of class, capitalism, imperialism, colonialism, bourgeois state, political resistance, revolution, and further notions that the post-socialist universities in the region have swept under the rug of the ‘transition to liberal democracy’. During my Masters’ degree, I was one of the students who initially rebelled against what I thought was an uncritical acceptance of Marxist theory and the dismissal of the department’s regional focus. I initially saw it as diminishing the local relevance of CEU for the region and the region’s relevance for CEU students after graduation. Yet, in a steep learning curve, I was soon to realize how the new approach — coupled with sensitivity to issues of gender, race, and a more refined contemporary world-systemic reading of concepts such as class and capital — gave us critical tools to explain our Eastern European reality. This was a reality that we as students and intellectuals of the periphery, in what Alexander Kiossev has called auto-colonising gestures, simply discarded and looked down upon as ‘shameful’, ‘underdeveloped’ and ‘backward’. Staying at CEU for my PhD, I was one of the first students of the department to leave East-Central Europe as a field-site and focus on Latin America. In my PhD thesis I used Marxist theory, comparative historical sociology, and political anthropology to critically examine Venezuela, a new socialist regime in the making. Although I’ve shifted fieldsites subsequently to Ireland and now to South Africa, East-Central Europe has remained always my key intellectual and political context, which I speak back to through my scholarship and activism, e.g. through the political platform LeftEast, where I am a member of the editorial collective. But I have also realized the importance of breaking through geographical divides in knowledge production, in search of comparable or contrasting historical processes. The new cohorts who have entered CEU’s PhD program in Sociology and Anthropology after the economic crisis in 2008 often come with already shaped Marxist political thinking. Perhaps this is a combination of their getting degrees abroad with the opening up of Eastern European academia to this Marxist theoretical legacy, which was condemned or left in oblivion for two decades. Many of us – regardless of the geography of our field-site – have been using our scholarship for applied interventions in political and social struggles in the region. And it is, interestingly, precisely CEU – a privately endowed, elitist institution – which, through its generous funding and open intellectual atmosphere, has allowed a lot of quite radical debates to take place. Even though portraits of liberal thinkers as Karl Popper and Ernest Gellner still hang in the halls, to remind us of its past and the strife of its senior management. But for me – as I recent said to an academic in the region decrying CEU as an outpost of neoliberalism – CEU is as any other university, a site of struggle. I prefer to have Popper and Gellner listening to student defences – where neo-Marxist and second-wave feminist thinkers are not even the most radical authors cited – and rolling in their graves. As an unintended outcome – perhaps of what Nicolas Guilhot has called Soros’s dialectical thinking – CEU has allowed the majority of people who call themselves Left in the region to emerge from its halls as faculty or students, without political repression. So when defending it today, it is not the institution as an uncriticizable bloc that need to defend. Rather, we need to defend our right to carry on challenging it from within, against the whim of an autocrat to just close it overnight. Eli: How do you see your own disciplinary identity, as someone with a joint sociology-anthropology doctorate? Mariya: Disciplinary boxes were never too comfortable for me. Trying not to compromise on the methodological rigour and ethnographic writing, my work brings together debates from anthropology, sociology, social theory, global history, political economy, with focus on education, labour and political mobilization. My PhD supervisor Dr Alexandra Kowalski has been very encouraging and inspiring in this regard. Trying to keep me focused must not have been easy for her, but as a comparative historical sociologist and state theorist, her own scope and scale of work has been far from narrow. It was she and her colleagues who encouraged my interest in the Venezuelan Bolivarian University. Yet initially, the focus of my PhD was less on higher education as an institution and more on the role of radical intellectuals coming to power. In this I was also aiming at a comparison between CEU (the post-1989 elite graduate school of anti-communist Eastern dissidents and Western liberals) and the Bolivarian University of Venezuela (UBV, a mass university aimed to train the new revolutionary cadres of Venezuela and pink-tide Latin America). But the comparison was difficult to carry out, mostly because of my different positions at CEU and UBV. And while initially higher education got framed only as a possible lens for analyzing intellectuals coming to power, things changed during my fieldwork in Venezuela. It became more and more clear to me that the university institution was a site with its own fascinating dynamics and structural constraints. My work increasingly responded to broader debates on the global field of higher education, rankings, performance indices, and shifting regimes of funding, labour, and knowledge production. Eli: I’m wondering where you see your work going on a more conceptual level. Your work seems deeply influenced by sociology of social movements and anthropology of the state, and you’re often very attentive to the limits of political consciousness (as in the Bulgarian cases where you remark that anti-anti-communism became unthinkable, or that liberal “rights” frames remained dominant). Is it fair to say that much of your work has been about this double dynamic between consciousness and historical conjuncture, between the state and the (always multiple) movements? How much autonomy — as it were — do you ascribe to political praxis or consciousness in the face of the historical structures that, as you repeatedly show, set limits on that very consciousness? Mariya: Sure, though I would probably phrase it a bit differently, speaking about the chicken-and-egg question of sociology, namely about the relations and boundaries between structure and agency. And also, the not unrelated question about to what extent structures get reproduced, and if and how social change happens. Let me bring in more concrete examples from my own work about the latter question. What always fascinates me is how radical movements critique universities and academics as part of the established institutions, reproducing the old bourgeois state, but at the same time, the moment they come to power, these movement soften place intellectuals in decision-making positions, and establish new universities or open up the old ones to newer populations. So, if the university is a form that needs to be dismantled and its cadres need to be dismissed, why take them up at the first place? This questions resonates with socialist theorists’ study of what to do with the state when they come to power. Or in terms of the contemporary Left in Europe – what to do with the EU? So then the agency/structure question is, what happens when revolutionary movements – and here I don’t mean intellectuals only, or even not at all – come to power within these structures of state and elite reproduction? Do they get completely absorbed? Is there any place for agency on their behalf or do they inevitably get co-opted by the centrifugal forces of the old establishment and the omnipotent system of capitalist state in service of the market? And what is – if any – the role of university educated upper and middle class (often white) people, by origin or by educational and professional attainment – in movements for social change, if they seem to represent the core of the problem? I don’t pretend my work gives an answer to these questions, but it certainly seeks to address the complexities and contradictions of this process through empirical case studies in different parts of the world. I also add one more layer here, and try to dig deeper into a very uncomfortable zone of progressive politics, which are usually discussed uncritically. Yet, often the road to Hell is paved with good intentions. Often radical movements get frustrated not just by structural processes, but also by decisions and actions made by the very agents involved in them. In their aftermath, some progressive practices and institutions, which were designed without thinking about their own potential modes of failure, have been misused in very dark and dangerous ways by antagonistic forces. The question of why chose the university is, interestingly, similarly valid to the question of how to take power (or build dual power) within newly liberated post-colonial states since the 19th century, and within socialist regimes throughout the 20th century. Today, this question becomes ever more pertinent because universities are no longer exclusive to elites. But also today, even those universities and institutions of higher learning that were created to subvert elite reproduction – whether in peripheries of the core states during massification, or in the post-colonial periphery during decolonization – have become key playgrounds for reforms inimical to their initial design. Sometimes through the benevolent effort to prove that their education lives up to the standards of traditional elite universities (Ivy League, Oxbridge, grandes ecoles etc. ), many public universities have opened up the Pandora’s box of evaluation, performance measurement, of commodifying or unbundling their educational provision (partly or fully) to widen participation; they may also try to compete with privately-endowed research-intensive universities in terms of research-led publications, even as they receive their core funding for teaching; and so on. Of course one can’t point fingers and blame individual institutions in the face of such harsh competition, and given how the entry of new managerial governance and market logic in public higher education has changed the game for everyone… Yet sometimes blaming the bigger system without seeing contingencies and turning points that depended on individual or collective decisions also diffuses responsibility. It leaves new generations of political leaders and policy makers with a very rigid and deterministic framework, and it leaves academics, students, and members of the public with very little sense of agency and little understanding of possible openings in the next rounds of the struggle. And this at the time when the university and its cadres are attacked from all sides. Eli: I loved your problematization of academic “autonomy” (particularly in “The Discreet Charm of University Autonomy” and in your joint paper on academic freedom with Kathleen Lynch). This has been a major issue in French higher education as well, where “autonomy” has been construed in very deeply opposed and ideologically laden fashions — new autonomy for institutional management has come very much at the expense of the collective autonomy of the traditional scholarly disciplines. What’s been the reaction to your efforts to produce a more politicized, feminist, anti-racist, “caring” notion of autonomy, or to show how it can in fact end up becoming a conservative tool (as in the anti-revolutionary “autonomous” universities in Venezuela)? Do you think that recent anti-precarity efforts, like #precanthro, can help revitalize the notion of autonomy in spite of the uncertain economic underpinnings of the current academy? Mariya: So, in both papers, the main thesis – seen through my fieldwork in Venezuela, and through processes happening in traditional academic institutions in Western countries such as Ireland – was that current debates on academic autonomy speak only of autonomy from the state, but not of autonomy from the market. So, while academic autonomy and freedom are especially treasured in struggles against authoritarian regimes, often movements which demand them are much less alert about market processes that enter higher education. Thus even in liberal regimes, academics demand autonomy from the state, but often to avoid regulation and public responsibility, not to get a respite against market forces. In liberal market regimes, academic autonomy often becomes a way to perpetuate privilege and refuse public responsibility. This is especially visible in Venezuela, where it was used by anti-Chavista academics to entrench themselves in the traditional higher education system, and to refuse reform and massification. And then, not to flog a dead horse, but to bring my own cherished alma mater, it was sad to see that when the CEU senior management came to struggle against Viktor Orbán, they did not underline their extended service to the community and the relevance of their programs, but rather their international ranking and their standing on the prestige market. And this while the university community – CEU but not only – has been put under increasing pressure to (self-) monitor its ‘research excellence’ through meaningless or narrow quantifiable criteria. There’s pressure on permanent academics to fundraise and publish-or-perish. There’s pressure on temporary research and teaching staff to follow these incentives and work almost for free. And there’s pressure on students to be happy they are given an education despite the often outdated and colonial curricula, and the demands to pay fees that put especially ‘nontraditional’ students at risk of ever growing debt. So academic autonomy is already under massive threat from the market, but the only threats we notice are the ones from the state even in instances when it tries to regulate against the market… Of course, if we discarding the relevance of academic autonomy, we deny the struggles of academics working in repressive regimes. But hyperbolizing and extending it beyond proportion contributes to keeping the university in its own elite confines. So then, what autonomy do we want? How can we achieve another as you put it, politicized, feminist, anti-racist, “caring” notion of autonomy — or I would add, a decolonized one? It’s a challenge, but a worthy one. So, while I would like to see practices of care and solidarity created at initiatives as PrecAnthro, I don’t know at present if such instances could be replicated and to what extent they are replicable and could be brought to some universal status. As Rosa Luxembourg said about the basic error of what she called the Lenin-Trotsky theory in her book on the Bolshevik Revolution, revolutionaries tend to “make a virtue of necessity and want to freeze into a complete theoretical system all the tactics forced upon them by… fatal circumstances, and want to recommend them… as a model of socialist tactics”. So for me, it is important to draw the lines between the limitations of the struggle we are in, and the normativity that we can attribute to the lessons we learn from it. That just feels like a more honest approach than saying ‘movements of precarious workers create care and solidarity’ – which would be quite an overstretch, creating unrealistic expectations rather than outlining future goals. Eli: Finally, a question about the politics of being an ethnographer of politics. I had long been involved in university-related activism in the U.S. context before I began doing dissertation fieldwork. Yet I found when I went to France in 2009-11 that, although I was working with a broad range of activist groups in the public university system, it took quite a while before I felt personally invested in any of the local causes. Many of the conflicts over French university reforms were about fairly technical and procedural questions that became political in the context of larger alliances, inflammatory policy trends, etc. In a way, my outsiderness was a methodological asset, because my exteriority made it easier to relate to a range of activist groups who didn’t necessarily get along with each other. So my question for you is — how did you end up negotiating the political fractures that organized your fieldsite? Were you able to cross local boundaries as an outsider, or did you find yourself rapidly placed on one side or another? Mariya: In a way both. In my case we’re speaking of very different fieldsites, in which my ‘insider’ or ‘outsider’ status has also changed dramatically. I always remember Kirin Narayan’s great discussion of ‘how native is a native anthropologist’ on that. 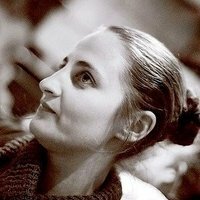 In Bulgaria, I have been an insider, but in some fieldsites the intersection between my middle class upbringing, my ‘Bulgarian’ majority ethic belonging, my gender and Left politics positioned me differently, when it came to researching such different contexs as housing in Roma neighbourhoods, women’s NGOs, and environmental protests. In Venezuela my principal field site had me studying Venezuelans from poor urban communities, who entered UBV but had formerly been excluded from higher education. But that project also had components of ‘studying up’, as Laura Nader developed this concept, and ‘studying sideways’ in the terms of Ulf Hannerz. Some of my informants were traditional intellectuals with radical views but a very privileged upbringing, degrees from prestigious US, UK, French, and Spanish universities, and a life standard that was not affordable to me or to Bulgarian academics with similar positions, so I had to study up the class ladder. And I experienced ‘studying sideways’ when I met some of the Bolivarian educators who came from high-rise neighbourhoods and expected – rather than experienced – upward mobility through higher education, but then remained economically downclassed during state socialism, in comparison to people with similar standing in core countries. The latter is the social background I come from and – within the current predicament of precarious academia – I feel I belong to, even if the promise in my case was given by the ‘silver spoon’ of post-socialist transition. In Venezuela, I also moved relatively freely between pro-government environments, and some Venezuelans and foreigners my age who were connected to opposition circles. Yet, the more I studied Chavismo, and regardless of my critique of and frustration with some sides of the movement, it became increasingly difficult for me not to side with that part of the divide. The social vertigo I experienced moving between these contexts was creating incredible cognitive and emotional dissonance in me which I brought back to Europe, starting to be more observant about my own position in my own society. It is this lesson that I bring with me to South Africa – where the class divide coupled with race, is ever steeper, and my own income of a researcher in the UK, social status of academic, and skin colour, make me feel ever more privileged. And then again, unlike many Bulgarians coming to Ireland to work in menial low-skilled jobs regardless of their qualifications at home, I was one of the lucky few who could work at my proper qualification level. Translation was more difficult in Ireland when it came to politics – Eastern European politics mean little to the Irish, who feel solidarity with settler colonialist contexts as Palestine, South Africa under apartheid and the Basque Country, but know little about the places where most of the migrant workers in their country nowadays come from: Latin America and Eastern Europe… I did try to use my and further research in the region to inform local struggles there. To what extent this was successful, I still am not sure, and this can hardly be the role of a single individual. And then again, while trying to be active in such movements, I realised more and more that starry-eyed paradigms such as PAR – participatory action research – are not a space where I feel comfortable. While I still think politics and academic research should and arguably could not be divided and that choices of research topic, theory, and ethics in the field are extremely crucial, I like to think of academia as a space that allows some distance and reflection on movement actions. I try to do this with my scholarship, and so I do not usually study the very movements I participate in as a core activist, even if these are causes I believe in. But I hope that – for instance – my work on universities as institutions and workplaces informs struggles of students and precarious academics as myself. I hope it gives them the necessary critical but also constructive and caring space to step back and think about the place of the university in the broader structures of society we live in, and their own agency in it.